Then last Thursday, she surprised me. “Let’s watch Heroes,” she said. “Er, okay,” I said, and we traipsed upstairs to connect the computer to the big monitor. We watched the first episode. “It’s supposed to get better,” I said. So we watched the second episode. And the third. “It’s time for bed,” I said. “We can watch one more episode,” Kris said. On Friday, we watched three more episodes, and on Saturday another three. In fact, it was hard to stop. It was like an addiction. Heroes is a clever show in many ways. Creator Tim Kring has drawn on many modern superhero tropes, and developed them for television in a way that is friendly not only to comic book geeks, but also to those who wouldn’t be caught dead reading a comic. The characters don’t run around in costumes — they’re average people leading average lives. Superpowers are downplayed at the expense of human drama. Sometimes it seems like a soap opera with superheroes. Claire, a Texas cheerleader with amazing healing abilities. Isaac, a drug-addict who can paint the future. Hiro, who can bend time and space. Matt, a cranky L.A. police officer who can read minds. Nathan, a politician who can fly, and his brother, Peter, who can temporarily absorb other people’s powers. Niki, who is basically the Incredible Hulk. Micah — Nikki’s boy — who can control machines. And, of course, there are a collection of bad-guys, most notably Sylar, a man who kills other super-powered people and eats their brains to take their powers. This show isn’t perfect, though. In fact, often it’s just mediocre. To some degree, Heroes suffers from the Battlestar Galactica disease: characters that are chummy one week will be at each other’s throats the next week, and then allied again in the third week. These ever-shifting alliances make little sense, and it’s often difficult to discern any long-term motive for a particular character. This frustrates me, but it’s not as bad on Heroes as it is on Battlestar Galactica. 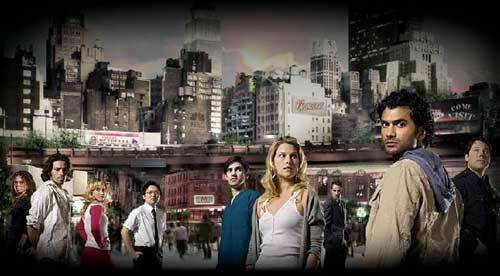 Also, like Galactica, Heroes has the danger of becoming “about itself”, the ultimate sign of a doomed show. I like most of the cast of Heroes, but I’d be happier if some of the characters died. Matt Parkman, the telepathic police officer, needs to be offed. I’m not a fan of Nikki/Jessica, either. I know that there will be new characters during the second season, but I’d actually prefer if the show was mostly about new characters and situations. We’ll see. I enjoyed the show — though the first ten episodes were better than the last thirteen — and I look forward to seeing where the creators take it in the future. Best of all, I know that Kris will be watching it with me! I think what bugs me the most about Heroes is that it’s deeply affected by what I recently saw someone term “decompressed storytelling”. It takes forever to go anywhere, and it’s really hard for me to keep my interest since so much of the show feels either extraneous, or mysterious-just-for-the-sake-of-being-mysterious. My enthusiasm for watching the second season is low, but we might watch it anyway. Debbi wants to watch at least the first few episodes. By contrast, I feel very motivated to watch the second season of The Muppet Show (the DVD of which arrived last week), and the third season of Doctor Who (which has its flaws but moves briskly along).